Mr. Kumar Chander is Managing Director, Southeast Asia, Wipro Unza and Director on the Board of Wipro Unza Holdings, Singapore. Kumar did a two and half year stint with Unilever, after which he joined Wipro Consumer Care in the sales function in 1992. Kumar has donned a variety of roles in sales & marketing, before taking up the assignment of head of Marketing for Consumer Care in 1999 and additional responsibility for Lighting in 2002. Kumar has also managed additional responsibilities in Supply chain and Business development. In 2007, post Wipro’s acquisition of Unza, Kumar moved as Liaison Director for Unza Holdings. In October 2009, Kumar moved to his current role. Under the leadership of Kumar, the Wipro group is now Malaysia’s second largest player in personal care. He has also supported the extension of Unza brands to new geographies including India. 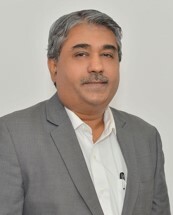 Kumar in his current role oversees Wipro and LD Waxson South East Asia operations in Malaysia, Indonesia, Singapore, Thailand, Myanmar and Cambodia. In addition he has oversight over the international operations of the LD Waxson Group. Kumar is a silver medallist in Mathematical Statistics from Delhi University, and is an alumnus of the prestigious Indian Institute of Management (IIM), Ahmedabad. Mr. Sriram Krishnamurthy is the Chief Executive for Wipro Unza Malaysia business. Sriram, an Indian national, is an experienced FMCG professional with 20+ years of cross-category, cross-functional & international experience including 15 years with Unilever. He joined Unilever in 1994 post his MBA and completed various assignments in Sales and Marketing across Asian markets like India, Vietnam, China and Singapore, both at the country level as well as at the Regional/ Global team levels. Post Unilever, Sriram played functional leadership roles with well-known Indian organizations in Consumer Durables as well as in Adhesives & Paints industries. In his last role, he was President, Sales & Marketing with Pidilite, the Adhesives market leader in India. In his role of Chief Executive Malaysia, he reports directly into the Managing Director, Mr. Kumar Chander. As the Chief Executive, Sriram looks after Sales, Marketing, Finance, Operations, Human Resources and Information Systems related to Wipro Unza Malaysia business. Sriram is an alumnus of the prestigious Indian Institute Management, Ahmedabad – considered to be India’s premier business school. Prior to his MBA, he holds a dual degree in Engineering and Physics from another renowned Engineering institution – BITS Pilani. Ms Jessie Wong joined Wipro Unza Malaysia in March 2017 as General Manager, Sales. A BA degree holder from University Utara Malaysia, Jessie has over 15 years of rich and wide-ranging experience in FMCG industry, covering Modern Trade, General Trade, Pharmacy, Trade Marketing and Sales Development channels. Interestingly, Jessie started her career in Marketing with SK Kaken (M) Sdn Bhd. A leading building coating manufacturer back in 1997. After 5 fruitful years with the Japanese company, Jessie embarked into FMCG industry with Johnson & Johnson, started out as Customer Development Manager and moved up to the position of Channel Manager. in KC was dual roles of National Sales Manager of General Trade and Sales Development. Highly passionate, dedicated and driven in driving results at work, Jessie pursues her off-work interests with equal passion and that include traveling, trying out good food and swimming. Yong Yoke Lan is currently the Senior General Manager – Finance of Wipro Unza (Malaysia) Sdn Bhd. Yong Yoke Lan also known as Elaine, started her career with Unza Company Sdn Bhd in 1986 and was seconded to BP Consumer Products East Asia as Accountant in 1989. In 1992, she was transferred back to Malaysia under Unza (Malaysia) Sdn Bhd. Elaine was assigned to take full responsibility for all accounting and financial activities of Unza and MSSB and henceforth was promoted to Chief Accountant in 1995. Elaine had taken all measures within her control to ensure the achievement of budgeted profits. In addition to the companies in Malaysia, she was also put in charge to provide assistance to the overseas affiliates. 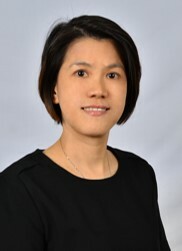 In recognition of Yong playing a key role in managing the activities of Unza Malaysia and also ensuring the Group’s compliance with laid down policies and internal control procedures and also having direct link to Group Finance in Singapore, she was promoted to Financial Controller in 2003. With her great contribution to the company’s business, she was promoted to General Manager – Finance in 2007 and further upgraded to Senior General Manager – Finance in 2012. Ms. Toh Mong Sah is the Senior General Manager for Research & Development for Wipro Unza, heading the function since 2007. A graduate in Applied Science and Biotechnology from the esteemed University Science Malaysia, Mong Sah joined Unza in 1999 in the Research & Development function and within four months was identified to head the New Product Development team. She has over 20 years of Research & Development experience in the beauty industry, and took over the overall Malaysia Group Research & Development function in 2006. She was promoted as General Manager Research & Development in 2007. She has been a leading light in the Malaysia scientific community, with active participation in international scientific conferences, cosmetic science courses and trainings and science exhibitions worldwide. Under her leadership, the Wipro Unza Malaysia Research & Development team has grown in size and stature and come out with market leading innovations for the various brands of the company – which have helped propel Wipro Unza to its exalted position as 2nd largest player in personal care in Malaysia. Mong Sah has been a Research & Development pioneer in Malaysia, leading a large team of Research & Development researchers and research scientists from different science disciplines and cross pollinated the knowledge and know-how into cosmetic sciences. She has established new safety testing protocols to create and maintain products with the highest standards of safety profile. An early proponent of non-animal testing, she has driven, building of a state-of-the-art molecular biology and tissue culture facility for skin care active compound research studies and safety testing – as alternate to animal testing. Mong Sah has also been at the forefront of technology transfer from renowned scientific institutions and establishments in Germany, Japan & Korea – which have translated to world class functional actives and market beating and innovative skin delivery systems. Mong Sah has lead and participated in a number of consumer research studies to better understand consumer usage and needs from their beauty and skincare products – to develop products with a superior consumer experience. She is also one of the country’s leading scientists in the field of Halal personal care & skin care product applications and related scientific development. Many of her best-selling products have qualified for enumerable consumer awards. Her most recent work has been on the recently launched Safi Rania Diamond skincare range- integrated with DNA technology. Mong Sah is also a member of ‘The Society of Cosmetic Chemists, Singapore’. Carol Loo Ooi Yen was promoted as General Manager, Operations in September 2015. A degree holder in Science, majoring in Chemistry from University Malaya and armed with a Diploma in MBA, Carol first joined Wipro Unza back in the year 1996 as a QC Manager. Throughout her nineteen years of career with Wipro Unza, Carol demonstrated her mettle and progressed to take on the positions of Planning Manager in 2001, Purchasing Manager in 2003, Procurement Manager in 2006, Production Manager WMSSB (Subang Jaya) in 2008 and subsequently she undertook the position of Factory Manager WMSSB based in Kajang. Carol is definitely one of the more experienced & versatile manager in the organization. Back in the technical function, Carol was instrumental in driving efficiency & productivity, leading to vast improvements in OEE, process controls & re-work reductions in both Subang & Kajang factories. Under her leadership as Production Manager of WMSSB(SJ) and Factory Manager of WMSSB(KJ), both factories were awarded ISO 14001 certification and classified to be ‘Environmentally Sustainable’, a project very close to Carol’s heart. In addition, Carol is also the senior member of Wipro Unza Group’s POR (Purchasing, Operations and Resources) Committee, of which she played significant contributing role specifically in the area of POR savings. Ms. Jessica Loretta joined Wipro Unza in January 2015 as the General Manager – Human Resources. She obtained her Master’s in Business Management at University of Southern Queensland, Australia and has had work exposure across several countries in Asia. Prior to joining Wipro-Unza, she was heading the Human Resources & Administration Team in MunchWorld Marketing & Munchys Food Industries as General Manager for 5 years and Samsung Electronics (M) Sdn Bhd as Senior HR Manager over 19 years. Jessica has an excellent track record of accomplishments including being a Six Sigma Black Belt Master certified by the Korean Management of Institute. She is also awarded various significant awards in the areas of Human Resources Management such as the Human Resources Ministry Award 2007. Jessica is one of those people ‘getting things done’ and driving results – through collaboration, team spirit and relationships. With an enthusiastic, passionate and genuinely friendly attitude, she radiates a sincere passion for delivering value and benefit to her organization and network she works with. Yee Choon Weng is the Group Information Systems Controller of Wipro Unza (Malaysia) Sdn Bhd. He started his career with Unza Company Sdn Bhd as a Programmer in 1988. He was then promoted to Analyst Programmer in 1991 and subsequently to Systems Analyst in 1995. He designed a sales promoters system and an Inventory & Sales Processing system for Unza. Sales automation using handheld devices was introduced to improve business operations and efficiency. He was responsible and had played a very active role in the SAP R/3 ERP system implementation in 1999. In recognition of his contribution towards the improvement in the business operations and workflow through the use of IT throughout Wipro Unza and its subsidiaries, he was again promoted to Systems Manager in 2003. Apart from Malaysia, he had successfully project managed the SAP implementations for other Wipro Unza OPCOs in Indonesia and Vietnam. In view of his extensive contribution in the company, he was promoted to Group Information Systems Manager in 2011 and subsequently to Group Information Systems Controller in 2014. Saravanan is the General Manager – Manufacturing of Wipro Manufacturing Sdn Bhd. Saravanan joined Manufacturing Services Sdn Bhd as General Manager in 2018. Saravanan is the General Manager – Manufacturing of Wipro Manufacturing Sdn Bhd. Saravanan joined Manufacturing Services Sdn Bhd as General Manager in 2018. He brings with him extensive experience in the manufacturing sector. Manufacturing Services Sdn Bhd is the manufacturing arm of Unza Malaysia. Under Saravanan’s leadership, Manufacturing Services Sdn Bhd had achieved required quality, high productivity and improvement on standard labour and material usage costs. Saravanan had also ensured the fulfillment of scheduled production requirements and priorities. Saravanan also leads the GMP committee and had ensured full compliance and continued improvements in the GMP standards. He also heads the IMS committee (ISO 9001, ISO 14001 & ISO 45001) and ensured rigid compliance to all SOPs and the achievement of all IMS objectives. He holds Master & Degree in Science, from University Putra Malaysia. 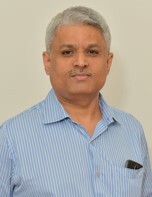 He comes from FMCG manufacturing background and also extensive years of experience in manufacturing & quality management. Saki is an accomplished marketer with over sixteen years of experience in the FMCG and retail industry. Saki is an accomplished marketer with over sixteen years of experience in the FMCG and retail industry. She joined Wipro Unza as GM Marketing in 2018 following successful stints at L’Oreal, Giant/ColdStorage, Johnson & Johnson and Unilever. She has a proven record of double-digit growth on the brands she has worked on and her work had won many marketing/advertising awards of repute. If there are two things that drive her, they would be ideas and people development. In addition to her passion for brand management, she dabbles as an instagram influencer specialising in pop-culture, beauty and fashion.